When was the last time you were upset? I mean REALLY upset. Her boyfriend canceled their anniversary dinner because he thought the timing was “inconvenient” for his work schedule. She can remember what it felt like to this day. Thankfully, she wasn’t able to confront her guy about it right away. It was a weekday and both were at work. She had to wait hours before she had a chance to talk to him. During that time, she calmed down. That allowed her to think clearly about the best approach for the long-term health of the relationship. Was she still upset? You betcha. But the intensity of her emotions leveled out. 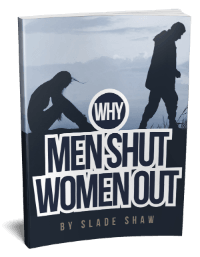 Instead of speaking from raw emotion, she was able to effectively communicate why his decision hurt her. And he seemed remorseful instead of defensive. If she’d talked to him while she was still in the throes of intense emotion, their conversation wouldn’t have been nearly as productive. Now, back to the last time YOU were upset. How long did it take for the feelings of frustration to fade a bit? Were you livid for only a few minutes, or were you ready to start World War III? However long it takes you to cool off, going toe-to-toe with your guy (or anyone else) while you’re fuming is never a good idea. There’s definitely a time and place for strong emotions. It’s appropriate to tell him you’re upset and why. But you want that conversation to move you forward as a couple, not just start a fight. So when he does something upsetting, it is imperative that you tame those wild emotions BEFORE you try to talk to him. But before you can use your magic reset button you have to “install” it. Here’s how. Your magic reset button can be anywhere on your body, provided it’s a place you can easily touch in a socially acceptable way. For example, you could use your ear lobe, the spot right between your eyebrows, an elbow, or even the tip of your nose. To “install” your magic reset button, touch that spot and meditate for a moment. Try to put yourself in a peaceful, calm state of mind. You want to banish anxiety and feel in control. Do that several times a day, each time pausing to return to a tranquil mental state. Now, when your emotions peak a little too much, and you begin to feel yourself losing control, you can touch your magic reset button. You’ll remember that peaceful state of mind and return to a calmer place. This is really just an elaborate way of distracting your brain. Once you disrupt intense emotions, you can return to thoughts about the problem at hand. Hopefully, you’ll be calmer and better able to take appropriate action. “Appropriate action” might mean letting some things go. And it might mean giving your guy a piece of your mind. It depends entirely on the situation. But YOU get to decide. It’s much better than letting your anger decide for you. The goal here isn’t to squash emotion. It’s simply to keep your emotions from pushing you out of the driver’s seat. 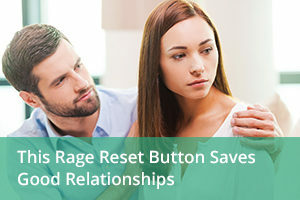 Install a magic reset button of your very own. Practice pushing it while bringing yourself to a calm mental state. When you really need it, your magic reset button will be there to help ground you. [i] Albrecht, Karl, Ph.D. “How to Install Your ‘Emotional Reset Button’” Psychology Today. HealthProfs.com, 6 Sept. 2016. Web. 09 Sept. 2016. This entry was posted in Communication, Dating, Relationships and tagged anger, self control by James Bauer. Bookmark the permalink. I have been with a man for about a year we pratically live together he is almost 20 my senior but I love him and enjoy him truely… I don’t even notice the years but I am noticing that he will message other women, not ones he already knew before me but he is reacing out to new ones. I once saw a text where he said “Hey Chicken when you gonna give me some.” He said that person and him always joke like that and he has known them for years though Facebook says otherwise. He works nights at a gas station so meets women and like I said he is very friendly. He gives out his number and email etc and will often message them asking how their day was or if he had seen their smile would have made his day….” I got annoyed because he says he wants to be with me and these woman have no clue he is even in a relationship. I will say that he don’t message them in my presance but throughout the day. I know cause I have seen his messages. He has pictures of these women on his cell and I know because he went into his gallery to show me something and I saw an album and recognized one… He claims he only wants to be with me and nothing is happening with them. How do I know this and what about the women wont they want more one day than what? Should I get out ASAP… I feel like doing the same but I know that woudl be childish… Now he is very protective of his phone… He spoke about marriage but now I’m not sure…. Am I worrying for nothing? Do I try telling him how it makes me feel and see what happens??? Hello Judith. Many men (especially older men) use flirting as their primary way of socializing with women. They thrive off the attention it brings them. It makes them feel like they are playing a game that involves wit and charm and a bit of intrigue. In reality, it just disrupts the social order that most of us rely on to differentiate between romantic relationships and platonic friendships. In other words, it’s not a good thing. Will he change if you ask him to? I doubt it. He will most likely blame you. He will most likely act like you’re the one who has a problem and “why can’t you just get over it?” That doesn’t mean you shouldn’t try. Give him a chance to change. Explain that it’s not right for him to playfully flirt with people in any context when he is in a committed relationship with you. These are general principles to consider. I’m not offering direct advice for what you should do because I don’t know your exact relationship and circumstances. I am in a relationship with a man who is from Columbia. His daughter died of lukemia. He came to the US to visit his other daughter. He over stayed his visa and is now illegal. He should have extended his visa and didn’t. He wants to marry me but I am not sure if it is just to stay in this country or if he truly loves me. We talk every night but it’s usually late when he texts me. He lives 1 1/2 hours from me. He came to visit me once and I went there for the weekend once. It was good. I think he is texting other woman he knew before. When I was there I looked on his phone and saw he was calling one lady, beautiful lady. He has they are only friends and I am the only one he is seeing and in love with. I just let it drop. One night he said he was talking to his daughter and did not text me for 2 hours. I don’t know if he is truthful or not. He has a large family he talks to in Columbia. I understand that. I see him online and he doesn’t text me. It bothers me. I don’t always know who he is texting. What should I say to make him want me first and foremost and to text me only. I don’t want to share my man. Hi Patricia. It’s wise to proceed cautiously in situations like this. When a man seems to be fishing for a relationship that would allow him to stay in the US based on marriage status, it increases the need for caution. Some people find it helps to slow down, stop chasing, and see what he does. If he is fishing for the best odds for getting married, he may go another direction. But if he genuinely loves you, it’s more likely he will pursue you just to spend time with you. “Magic Reset Button”…? That sounded like NLP. Just a part of the NLP curriculum of techniques…. Amazing how somebody can magnify just one technique and write a whole new book about it. I broke up with my guy yesterday cuz he said he “can’t” give me what I need. We have dated over a year with maybe 3 French kisses & end of the night hugs & pecks but that’s the extent of his romantic side. I feel like I’m getting crumbs and I want the whole piece of pie I told him I couldn’t do this anymore since I would have to settle for an almost non existent romantic relationship. I guess I’m back on the meat market lol. I’m close to 60 and I must be true to myself b4 I settle for someone who still can’t let go of the pain of what his ex did to him. He’s a father that puts his children first, they are in the late 20’s. He constantly wears the cloak of guilt. I truly can’t believe I put myself thru this again…. but I loved your article on the magic reset button. I’m gonna start using it. THANKS SO MUCH I’ll use it to remind me to steer clear of any man who needs saving…..
Pls send me the link. I would like to buy it. Can someone help me please. I don;t know what to do. My partner of 14 years (we do not live together) is very very friendly with another woman. the story is 3 years ago my 4 grand children came to live with me age now 3,5 9 and 10 years. then I moved again abour 1 hours drive away so I was not visiting every weekend any more he was phoning me every 2nd day and we were visiting every month I was bussy and he was working hard and going dancing every weekend that is what we always did together was dancing he has allways had lots of woman to dance with he is a very good dancer this never bothered me. then at christmas 2016 I had a few problems all happened together my horse died my dog died it was very very hot and I was getting a bit depressed he came out to visit me on Christmas day we had a lovely day he always stays over night when he comes out and the same when I go to visit him. I made planes for New Years Eve all good then at the last minute I cancelled because I was not feeling well and I was tired he said this was al right and I should have an early night, I didn;t ask what he was going to do I just asumed he would go dancing with our group of friends. he doesn’t know I read his text so he doesn’t know I know what I know. Hey, Lyn. I’m sorry you are going through this heartache right now. I believe people like you deserve better. And I think the best advice I can offer you right now is captured in a micro-course I wrote about dealing with a guy who treats you sort of like a backup plan. You can access that report here. Hey Christine. 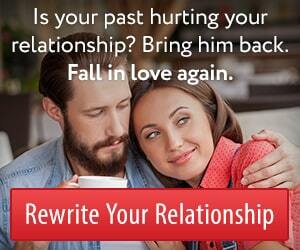 The key is to trigger his hero instinct and tie those natural reactions to his relationship with you. That way he feels happy about investing his life in you and your shared relationship. That’s what my relationship guide is all about. I hope you will check it out.